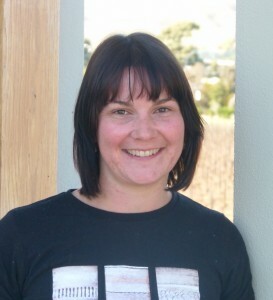 It wasn’t until I was attending our first block course for the Taruna College Certificate in Applied Organics and Biodynamics being held in Marlborough this year, that I realised how many winegrowers are involved in organics, both from company and privately owned vineyards. It’s great to see Marlborough, the biggest wine region in New Zealand, becoming so heavily involved in organic vineyard management. Wither Hills has been involved in organic production since 2008. But we are very excited to be taking it a step further as part of the Organic Focus Vineyard project and show the process of converting blocks to organic management and producing wine of top quality. At Wither Hills we are focused on sustainability – environmental, economic and social – with initiatives such as SWNZ and ISO14001, and our award winning Rarangi wetland restoration programme. So our investment in this new project helps cement our drive to achieve sustainability. I am looking forward to developing my knowledge in organics and to have the opportunity to work with key members of the organic industry such as consultant Bart Arnst. I recently went back home to Gisborne for a week, where my passion for organics originated from my parents’ holistic view on managing the soil and environment we live in. Whilst in Gisborne I managed to catch up with organic and biodynamic pioneer and Organic Winegrowers New Zealand chair James Millton, leading to a discussion on where the wine industry is sitting, its involvement in organics and Wither Hills’ involvement in the OWNZ focus vineyard project. My apprehension towards reporting and presenting the results of project to the public was quelled following this discussion with James, his advice being to use the involvement with the project to increase my knowledge in the organic sector. And so as an extension to the 40 hectares Wither Hills currently has in conversion to BioGro organic certification, we have added a further 1.7 hectares of Sauvignon Blanc, BDX 316, to the mix. This block and 7 hectares of Pinot Noir, both of a northerly facing aspect, will be monitored through the conversion process to organics, as a comparison to mirror sized blocks of each variety that will continue to be managed conventionally. The blocks of Pinot Noir involved in the project are a mixture of clones, and the organic portion of the Pinot Noir has been under our organic management programme for the past year. Although not starting from a blank slate, it will still provide valuable information throughout the project. The blocks involved in the project form part of our 95 hectare Taylor River Vineyard, located in the Southern Valley sub-region of Marlborough. This site consists of stony alluvial free draining soil, largely belonging to the Renwick Series. Originally pasture land, this area was planted in cherry and apple orchards for 8-9 years. Subsequently grapes were planted in the mid-’90s. 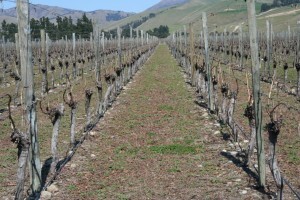 As this site can be prone to spring frosts, the vineyards have always been totally sprayed out in early spring to increase the radiation from the soil, reducing the possible frost effect. The two main challenges facing us as we convert these blocks to organic production are: the stony nature of the soil; and the vineyard team’s knowledge and understanding of organic management. 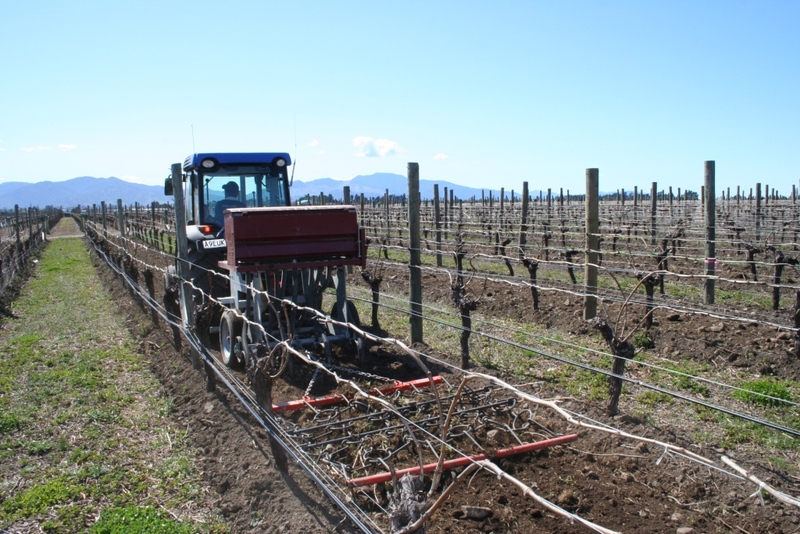 Due to stony soil, in any cultivation undertaken in the vineyard inter-row or undervine, rocks are brought to the surface, causing a hazard for machinery operators and staff working in the blocks. To try and minimise the risk posed by this hazard we will be picking up the large rocks and keeping the number of passes cultivating the inter-row area to a minimum. This also led to our decision to operate a Braun undervine weeder and not an undervine mower. Helping the team to understand the benefits of organic management may take more time. We are increasing staff training in the area with activities such as making compost, so they too can see the benefits of converting to organics. As we currently have vineyards in conversion to organic certification with BioGro, but still operate conventional vineyards as well, we have established a full set of operating procedures for organically managed blocks, from cleaning hand tools and machinery operation through to harvest procedures. The viticulture team are trained in these procedures, and are aware of buffer zones when canopy and weed spraying and harvesting, and using dedicated equipment such as the organic canopy sprayer for these blocks. Maps and signage are other ways to remind the team they are entering an organically managed block. One of the main decisions going into Spring is what to sow in the inter-row this year. I will talk more on this in a future blog.